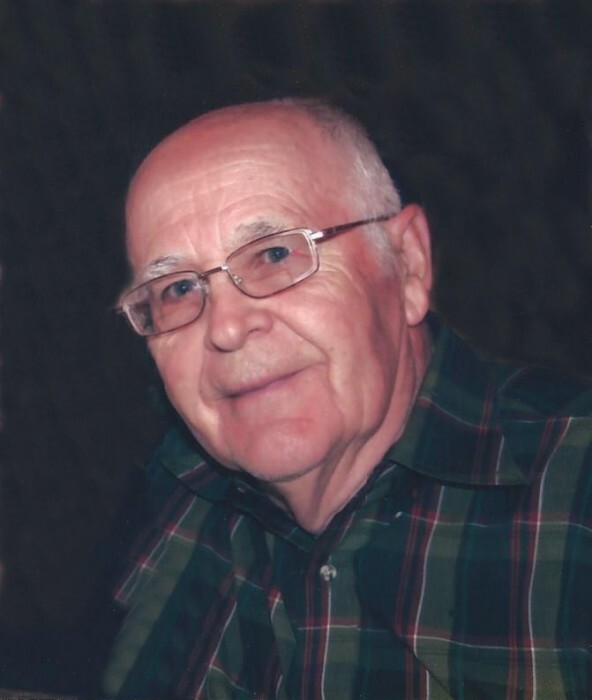 Frank N. Novak, Jr., 86, of Amarillo, passed away on Saturday, March 10, 2018. Funeral services will be at 10:00 a.m., Friday, March 16, 2018 at Trinity Baptist Church, 1601 I-40, with Rev. Nate Magloughlin officiating. Interment will follow at Llano Cemetery with military honors provided by Volleys for Veterans Honor Guard. Arrangements are by Schooler Funeral Home, 4100 S. Georgia. Frank was born on November 12, 1931 in Yugoslavia to Frank and Emma Novak. He was a veteran of the United States Air Force having served as an Airman 1st Class during the Korean War. He married Evelyn McCandless on January 1, 1953 at Antioch Baptist Church with Evelyn’s grandfather officiating. That was the beginning of a love affair that would last over 62 years. Home was where Frank’s heart was. His children and grandchildren were the light of his life. He loved the outdoors, hunting and fishing. He was a passionate gardener, often sharing fresh produce with family and church friends. Frank was a member of Trinity Baptist Church where he sang in a quartet and assisted with the widow and Baptist men building ministries throughout the years. Frank cherished relationships that extended beyond the traditional norm and felt blessed to be part of the Walker Family and numerous nieces and nephews lives. He was preceded in death by his wife; his parents; and two sisters, Bernice Schaner Conway and Emma Toman. Frank is survived by his three sons, Michael F. Novak and his wife Ann of McKinney, Texas; Stephen W. Novak of Albuquerque, New Mexico; and Kenneth J. Novak and his wife Chris of Albuquerque, New Mexico; his daughter, Susan Scheffe and her husband Doug of Amarillo, Texas; one sister, Mary Bold of Big Sandy, Montana; eight grandchildren and five great-grandchildren. The family suggests memorials be made to Trinity Baptist Church, 1601 West I-40 West, Amarillo, Texas 79109 or the Make-A-Wish Foundation, 1600 S. Coulter, Suite 100, Amarillo, Texas 79106. A visitation will be held from 6:00-7:00 p.m., Thursday, March 15, 2018 at the funeral home.